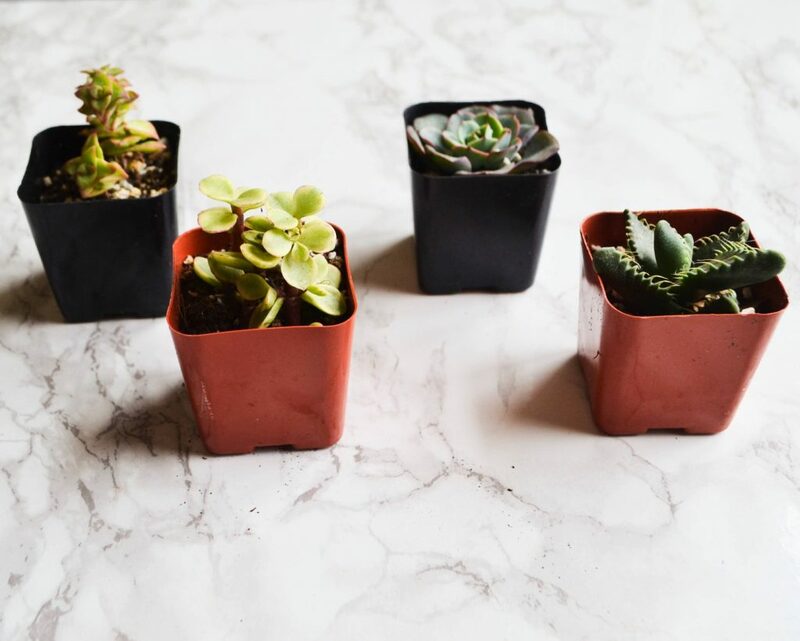 Succulent Box is a subscription that sends you 1-4 gorgeous organically grown succulents each month. 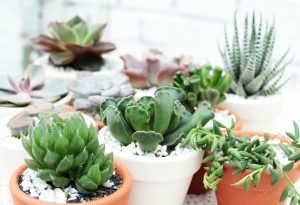 Plans start from $5/month, and you can choose the number of succulents you would like to receive. 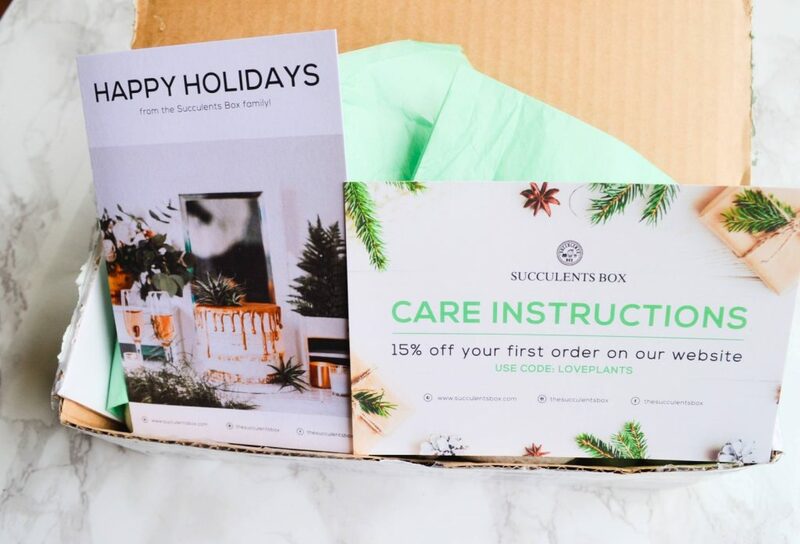 Use code LOVEPLANTS for 15% off your first box!Today, I will be reviewing December’s Succulent Box, under the 4 plants per month plan. 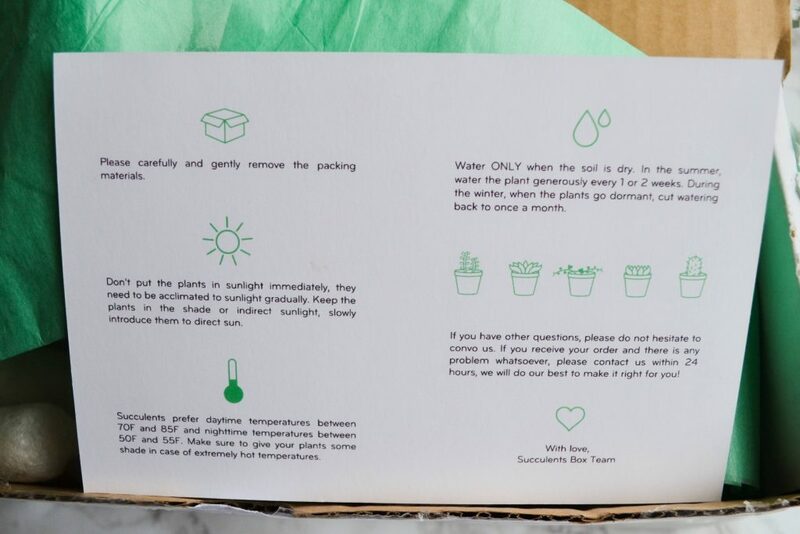 I learned a lot about succulent care from this instruction card – for example, you should gradually introduce them to sunlight, rather than immediately sitting them in a windowsill. I also learned that I only need to water them once per month this time of year. If I hadn’t read the card, I definitely would have overwatered them. 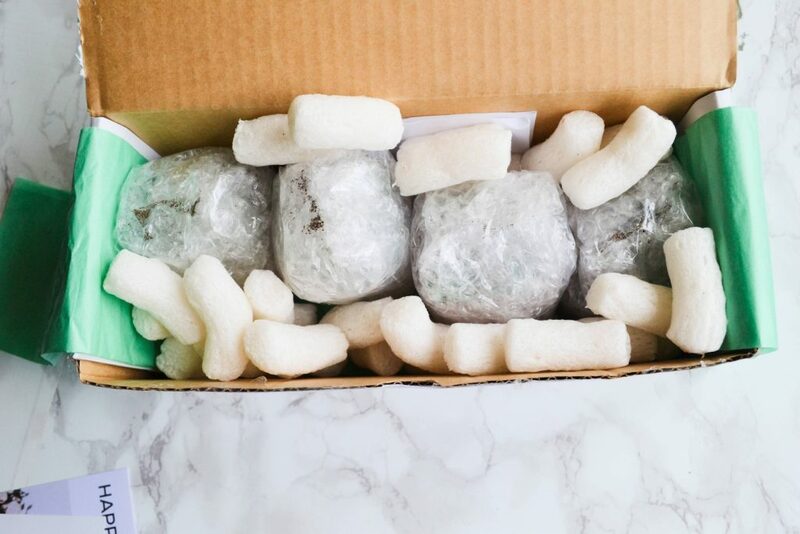 Each succulent was wrapped securely in bubble wrap, and there was plenty of packing peanuts in the box. 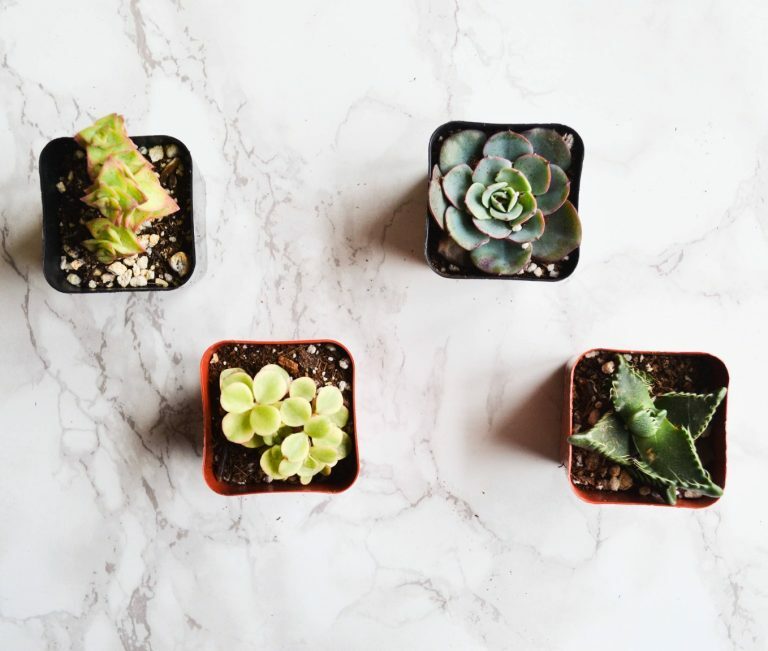 The succulents arrived in pristine condition, and there was minimal dirt spillage in the wrapping. 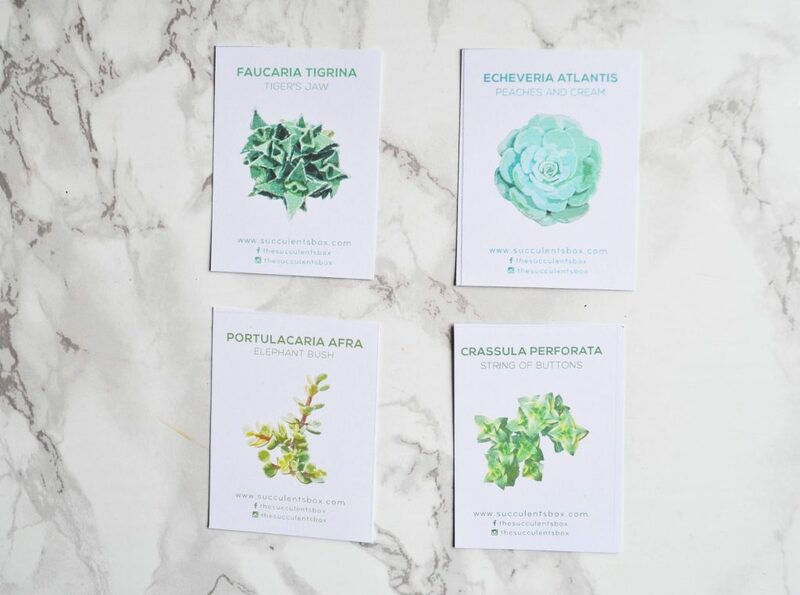 Succulent Box included 4 little cards with photos of each succulent, along with the scientific and common name for each plant. They have some really cool names; my favorite is Tiger’s Jaw. It just sounds badass! 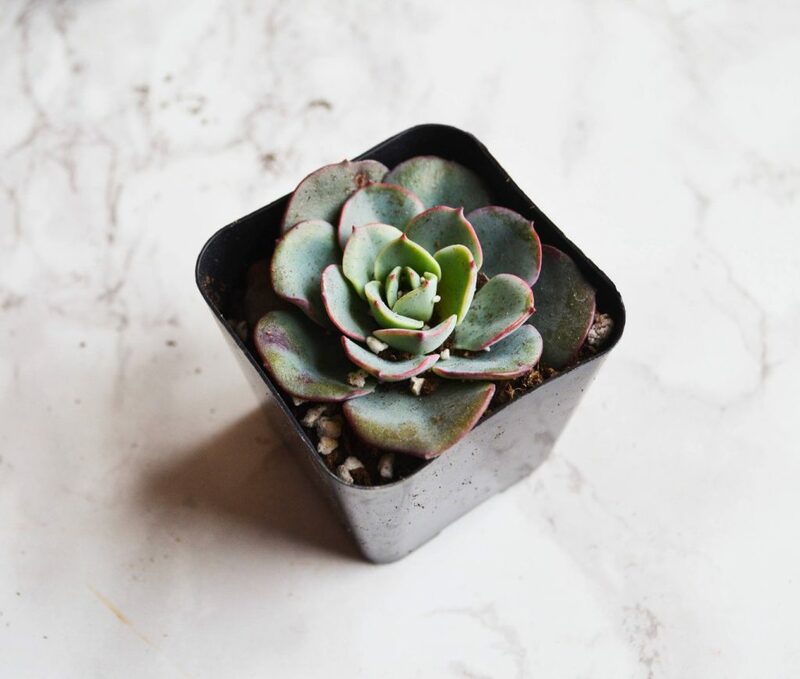 Each succulent is unique and adorable, and I can’t wait to help them flourish! First, let’s take a look at Tiger’s Jaw. 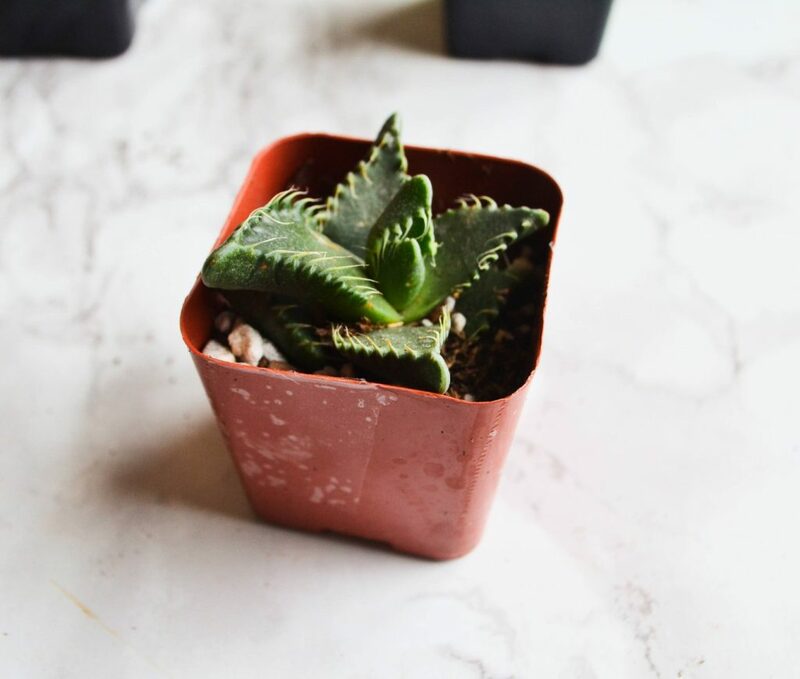 This is a small succulent clump-forming perennial, with thick triangular leaves. Each leaf has soft white “teeth”, and the plant can produce large yellow flowers. This is my personal favorite! Next, I received Elephant Bush. 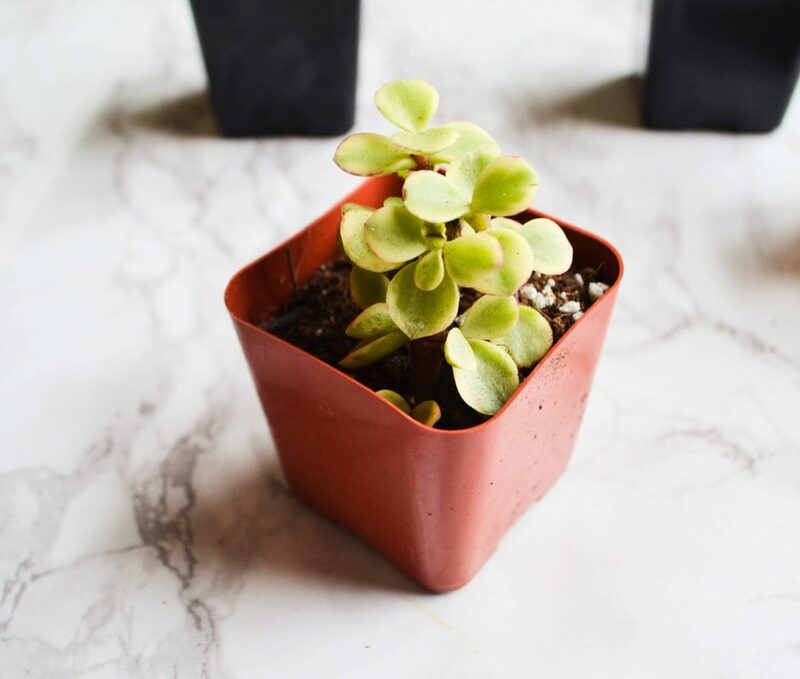 Its little leaves are shaped like elephant ears, and the wood branches can grow quite long. This is a good option for hanging planters! 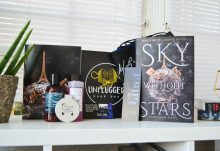 December’s box also included a Peaches And Cream succulent. It has round big rosettes, and has rich red tips in cold weather. You can see how vibrant the tips are below! It arrived during a cold snap in St. Louis, so I received it in time to see the gorgeous coloration. In the summer, the rosettes will be more of a powdery blue color. The final succulent I received was String of Buttons. 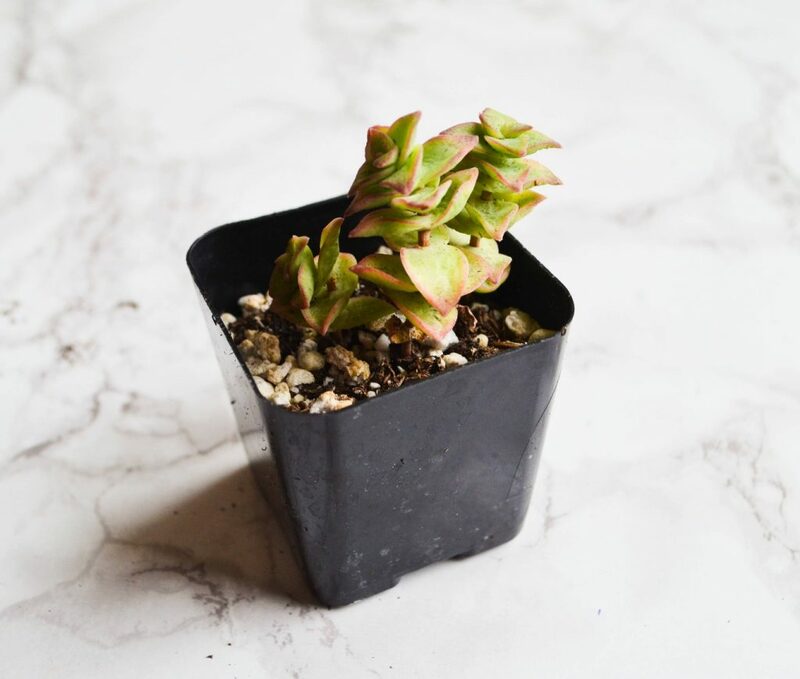 This plant will grow and spread out into shrubs of up to 18 inches tall! It will also bloom with pale yellow flowers in the spring. It’s hard to imagine that since it’s so delicate right now, but I am excited to see it grow. 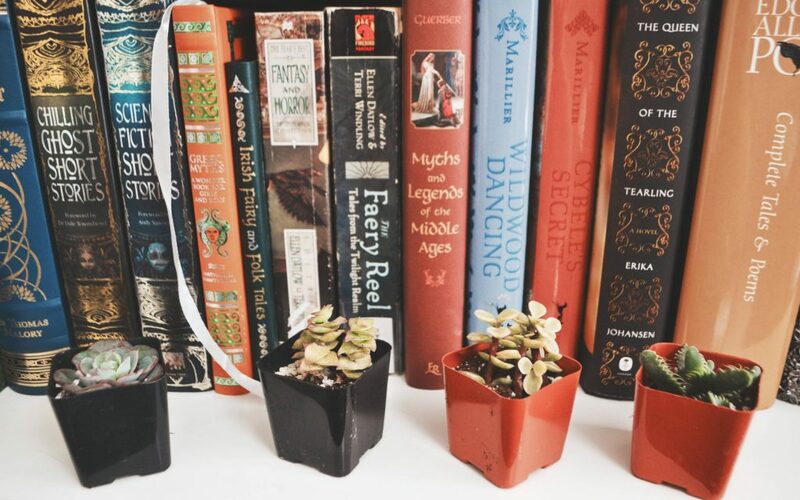 I absolutely love my succulents, and I’m currently keeping them on my bookcase. I put them on my windowsill for a couple hours per day, and I’m slowing increasing that time in half hour increments. Eventually, they will reside permanently on my sill. 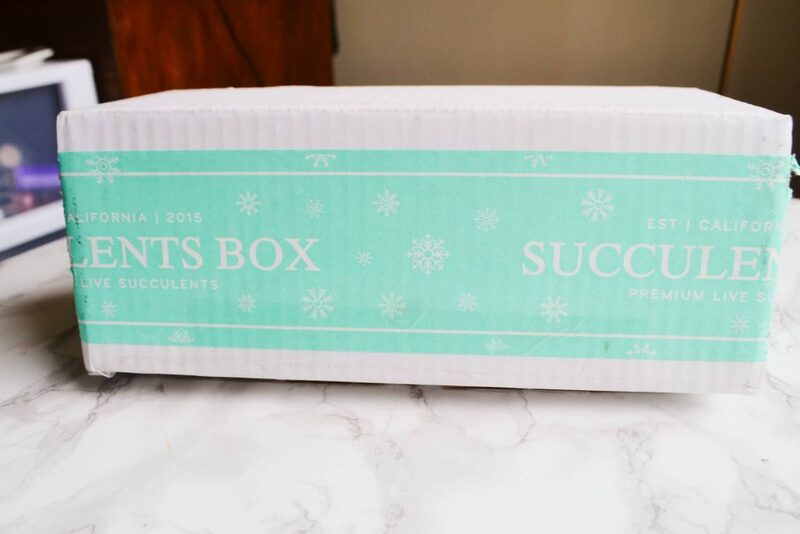 I loved trying out Succulent Box; I think it is an excellent box for anybody who loves plants – and you don’t even need to have a green thumb! 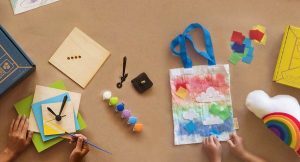 The box is affordable, and the plants are unique and adorable! How would you rate Succulent Box ?